When you’re running a small business, marketing can seem mysterious. It has its own language, and it always seems to be changing, and it’s way too complicated to try to keep up with all that mumbo jumbo. Right? Except that effectively marketing your business is the path to more customers and more revenue. So, if you want to grow your business and get new customers, you need to figure out marketing. At hibu, we’re committed to helping small businesses like yours succeed, and so we’re now offering a free 30-minute consultation to all small business owners. Our consultation is designed to demystify online marketing and help you begin to form a strategy to win new customers. Our online marketing experts will answer your questions, teach you about marketing best practices and help you design a strategy that you can execute. An assessment of your existing website and mobile website, if you have one. If you don’t, we can discuss what you need to create a connection with your target customers. We’ll explain some basics of website design and how you can easily make a great impression on those would-be customers. How to understand what your audience is looking for. This is something just about every business struggles with – it can be difficult to put yourself in the shoes of the customer. Often, when you’re running your business you can be too close to the trees to see the forest. In other words, you don’t think like your prospective customers do; you know too much about your business, so you don’t ask the questions they ask. Our marketing experts can help you see things from the customer’s point of view. If you’re playing a sport, or studying for a test, or looking to advance your career, it’s common to get a coach to give you some advice and provide a voice of experience. 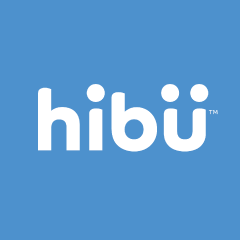 hibu is committed to coaching small business owners to help them succeed. If you’re interested in moving your business forward and getting off the treadmill of always searching for new customers, schedule your free 30-minute digital marketing consultation.